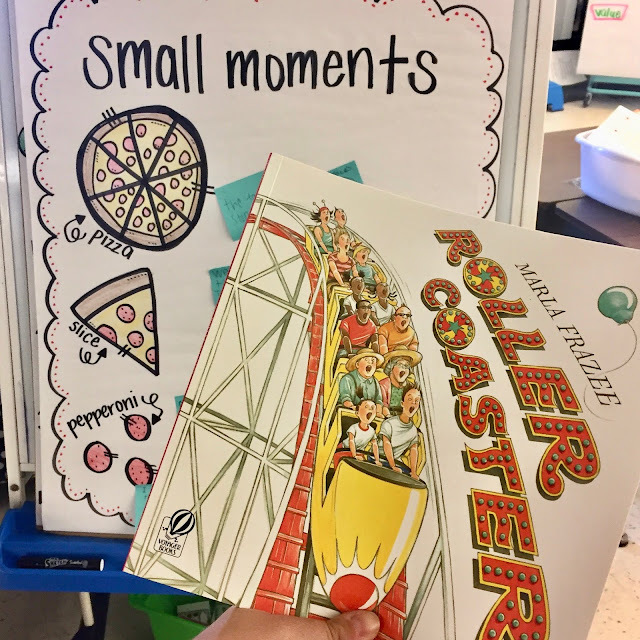 First things first, to REALLY maximize instructional time in your classroom, it is so very important to set up clear expectations and procedures for pretty much EVERYTHING! Your classroom will not run smoothly and efficiently if you do.not have expectations and procedures put into place. And, you can't just TELL students what they need to do. You need to model it, model it, and then model it some more. And practice, practice, and practice some more. Once you have these little things, like asking to go to the bathroom or sharpening a pencil put into place, your classroom will be much more manageable and you'll have way more time to spend on the important things! Even if you didn't focus on them as much as you think you should have the beginning of the year, it will never ever hurt to go back to them! A long weekend, a break, when a student moves or comes in, review them again and again! Of course, setting up expectations and procedures takes a lot of time! But, I promise it's worth it! I love using a simple PowerPoint to go over all my routines and procedures with my students at the beginning of the year! I love adding pictures of them actually completing the procedures correctly into the slideshow and then revisiting it throughout the year! 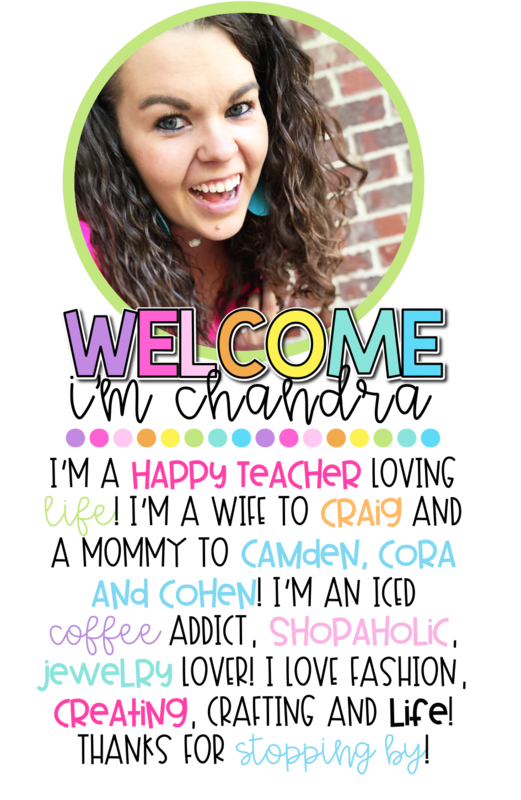 Then, you can even make them into little booklets to keep at students' desks or tables! 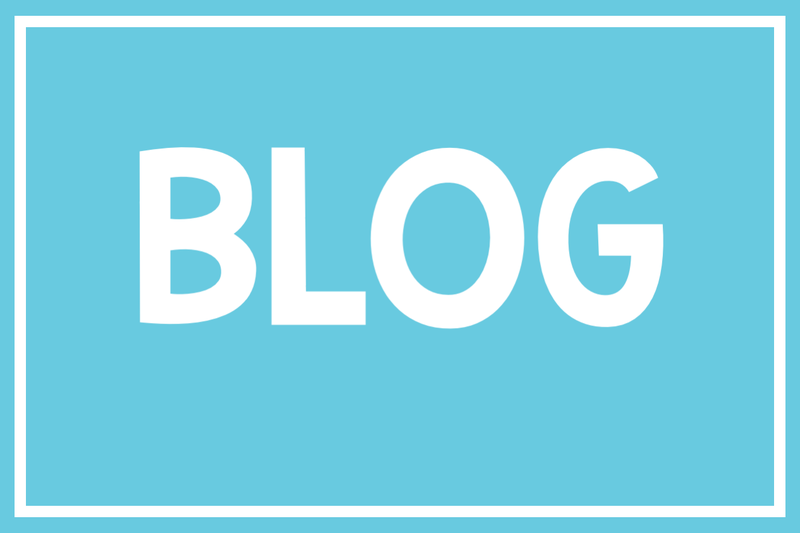 Although expectations and procedures are super important, they do take a lot of time! So, here are four SIMPLE ways to maximize instructional time! Whether it's a doorbell, a song, a chant, or a clap- transitions help make things easier! In my classroom, we chose a certain song and my students knew that when they heard that song it was time to clean up and meet me back on the carpet. Of course, this definitely goes back to those expectations and procedures that you have to go over explicitly! Just having a transition won't help you maximize instruction time if you don't have procedures for your students to follow! One way that I love playing music in my classroom is using Amazon Prime Music! 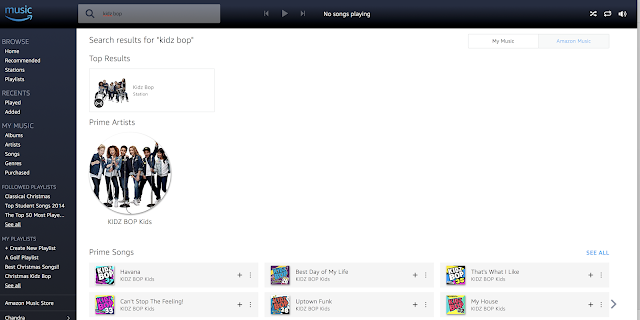 If you've got a Prime account, it's a great way to listen to awesome music with your subscription! 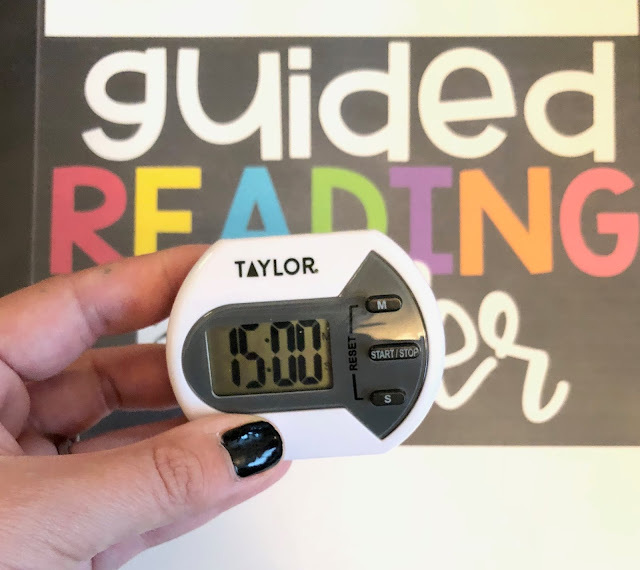 You can read more about how I use it in my classroom here! This allows you to choose from a TON of different songs for your transition music! 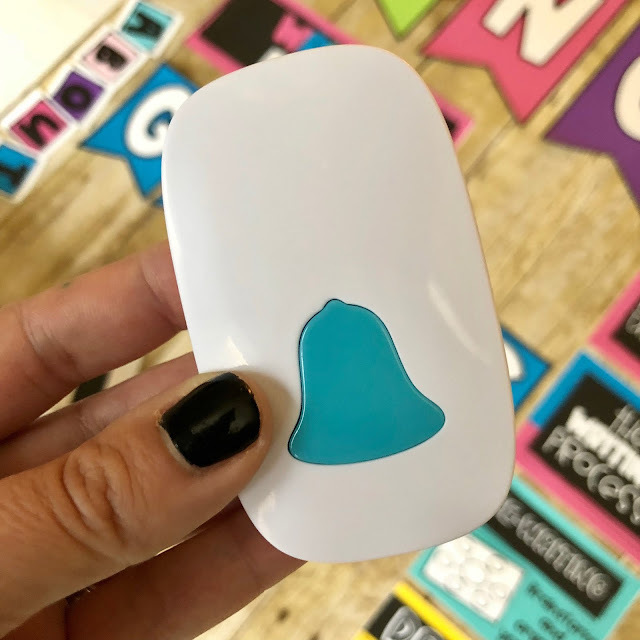 For those times that you don't need to actually have your class clean up but just want to get their attention, using a specific signal like chimes or a wireless doorbell (affiliate link) can work great! It's just important that your students know exactly what to do when you make the signal! Otherwise you'll be waiting forever for all their little faces to look up at you! There is SO much to do during the day and it's so hard to get it all in. I really struggled with this as a teacher because it was so hard to stop working on something and move onto the next thing if my students weren't quite finished! 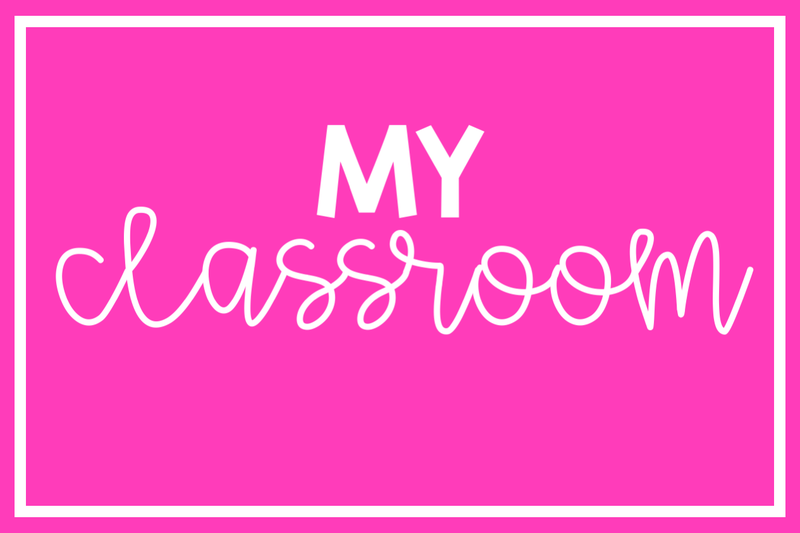 I also really struggled with getting in the closing of my lessons, but again, those closing are so very important! In order to help with this I started using a timer (affiliate link) to help keep me on track! This little thing came in really handy when I was working with groups! Another way to maximize the time you have with your students is to make sure that THEY are organized and can easily find their materials! 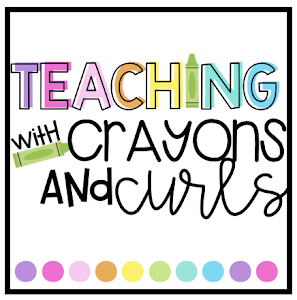 In the elementary classroom it can be hard when you're teaching all the subjects to transition between lessons and activities. Even giving simple directions to primary students can be extremely challenging and take up lots of time! 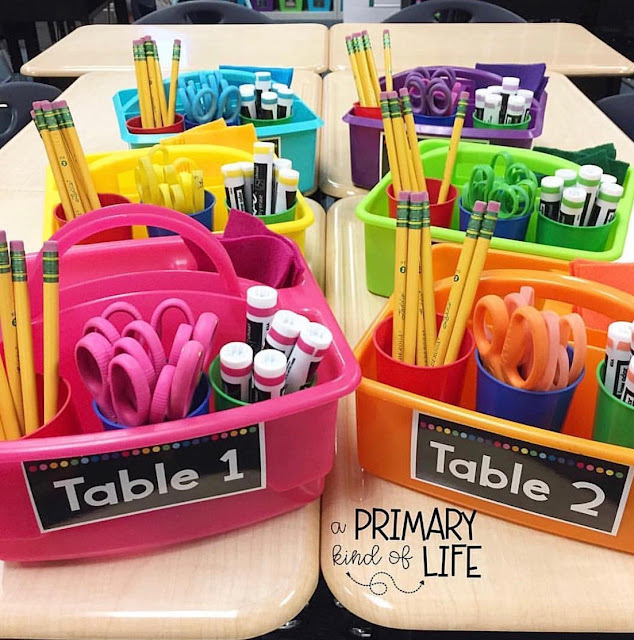 I love color coding ALL the supplies to make it super easy for students to find exactly what they need and not waste a lot of time! In my classroom I used composition books for literally EVERYTHING! However, since they all looked the same it was so frustrating when students couldn't find the correct notebook to pull out of their desks! 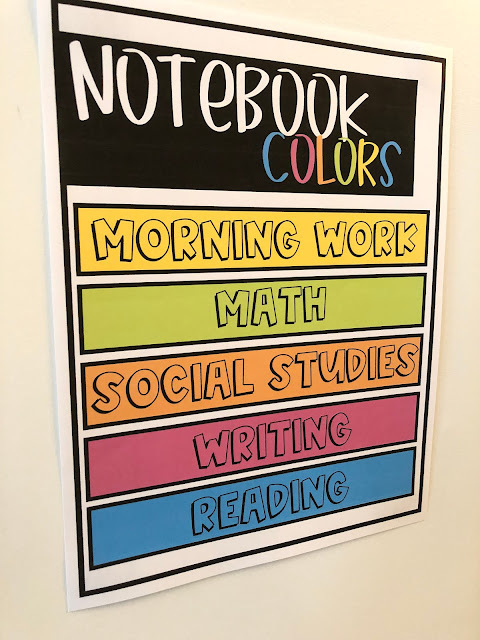 It helped SO much to color code them for each subject and put a key in my classroom so that students could easily remember that when we were completing a reading activity they needed their blue notebook! Using color coded covers helped save a ton of time throughout the year! It also helps to have students supplies easily accessible! I have always allowed my students to keep some supplies in their desks and community supplies in caddies. I am absolutely in LOVE with these organized caddies from A Primary Kind of Life. Reading a new book? Have your book ready to go! Creating a new anchor chart? Make sure the paper and markers are ready! Passing out a worksheet? Have it right beside you! 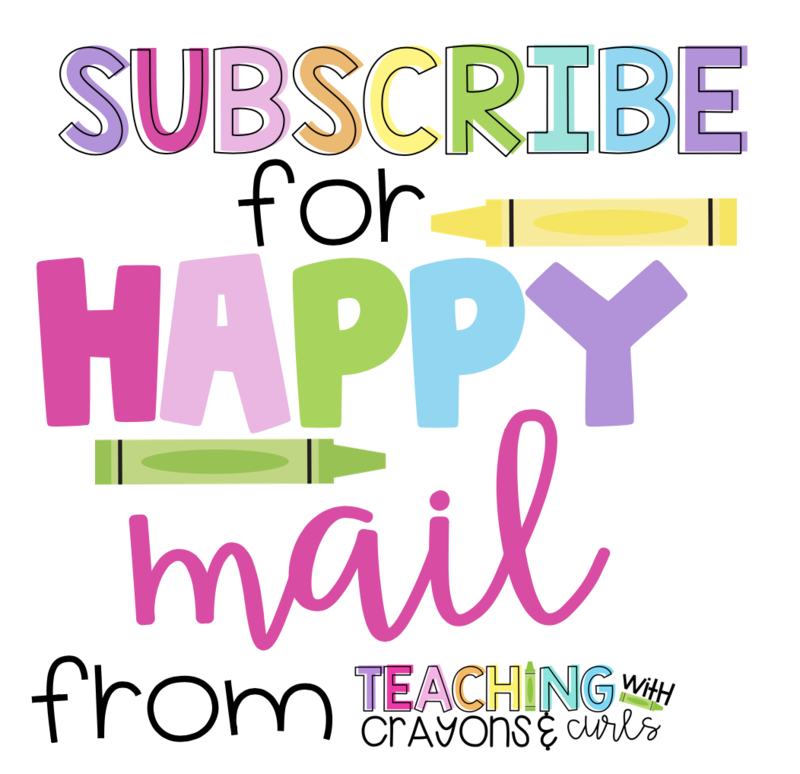 It's so important to go ahead and have all your materials that you need for a lesson prepped and ready to go BEFORE you actually start teaching! I'm not going to lie and say that I haven't been the teacher that has to pause a lesson to go get my copies out of my weekly bins or go find a specific marker, but being prepared makes things SO much better! As soon as your students know that you are OFF, even just a little bit- THEY are going to be off! Then it takes longer to get them back on track! 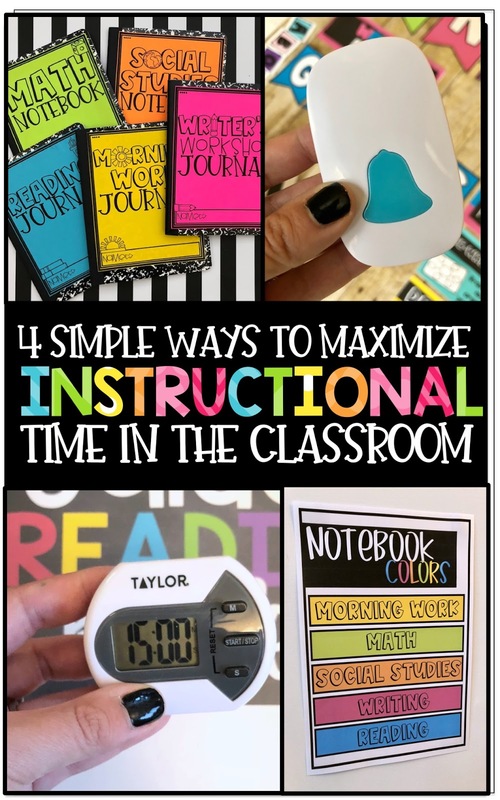 I hope these four simple tips help you maximize instructional time in your classroom! Want to save these ideas for later? 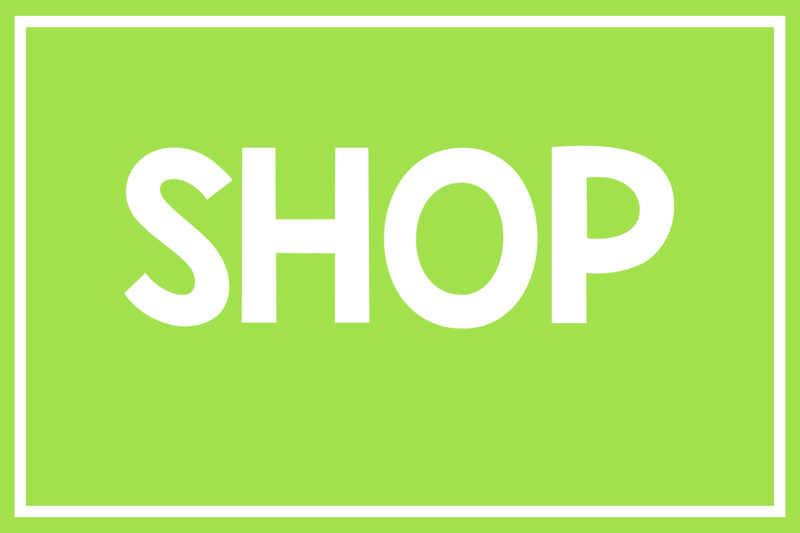 Just Pin the image below!